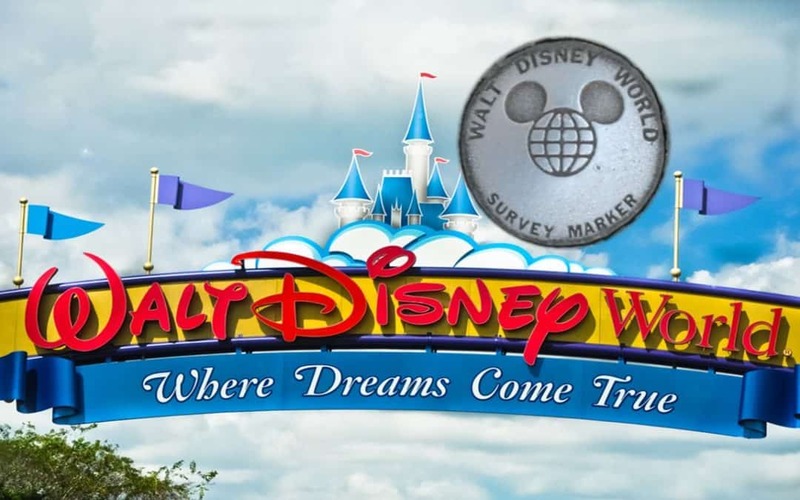 Land Survey Markers in the Magical World of Disney | Land Surveying Inc. Imagine what it was like to turn 47 square miles of swampland, infested with dangerous cottonmouth snakes and 15-foot crocodiles, into the world’s most popular family vacation destination. I’m talking about Walt Disney World in Orlando, Florida. Like all great development projects, this task began with the initial land survey. Surveying the land at Disneyland and Disney World began immediately after the purchase of the properties, and especially in the Florida property, land surveying was extremely difficult because of the thick swampland and dangerous wildlife. There are many fascinating stories of land surveyors standing in a swamp of waist-deep water, surrounded by swimming cottonmouth snakes. (To me, that makes the Twilight Zone Tower of Terror sound like nothing!!) The snake problem was so bad that they ended up issuing gun permits to all the survey crew chiefs, and all of them began carrying guns on the job. Several snakes were killed while attacking people, and crocodiles ran surveyors off the job. Despite the dangers, the surveyors pushed on. They needed to establish initial reference points for the survey in order to come up with accurate bearings and measurements. 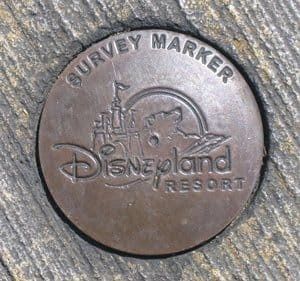 At first, they used survey nails or X’s scratched into concrete to mark surveyed locations, but in the 1980’s Disney started to customize their own survey markers. There are several customized and unique land survey markers around the world, but some of the most interesting and sought-after monuments for land survey buffs to observe are the Walt Disney survey markers. They have established unique designs for both Disney World and Disneyland. The Disney World cap has a mickey mouse symbol with latitude and longitude lines running over the head which represents the earth. The center of the latitude/longitude lines marks the exact center of the disc, which actually has a purpose: surveyors use that center point to place their receiver antenna for a known position when conducting a survey. Another fun fact: for many years, the top of the Cinderella Castle was used as a triangulation point. It worked great because it could be seen from all directions, and it had an established location and elevation. Whether Disney is building a brand new hotel, restaurant, or thrill ride, each development project begins and ends with a survey of the land. Therefore, these markers serve a very important purpose in the development and management of the parks today. 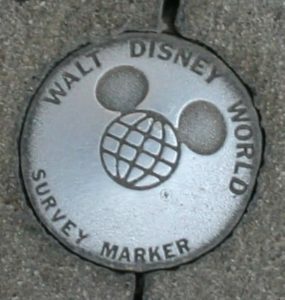 Disney maintains a staff of about 20 people in the surveying department who use these survey markers, along with GPS, GIS, and AutoCad to map out the utilities and other infrastructure in the parks. 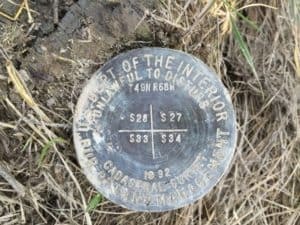 Have you ever been to a Disney park and noticed a land survey marker? We’d love to hear about it! If not, be sure to keep an eye out on your next visit to a Disney park. This little piece of Disney magic is right under your feet, just waiting to be discovered. 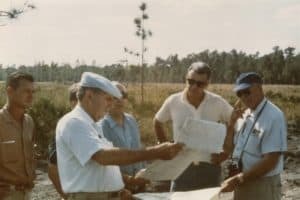 And now that you know some of the history of land surveying in what used to be a remote and dangerous Florida swampland, you can respect and appreciate the efforts of land surveyors that made this all possible.